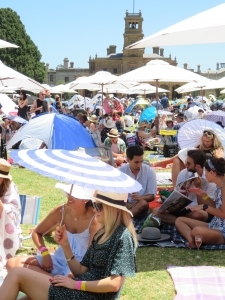 Every year during Melbourne’s glorious summer, a crowd of adoring Francophiles flock to the West and to the beautiful grounds of Werribee Park Mansion. 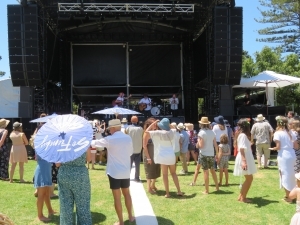 So Frenchy So Chic is a full day festival of fun celebrating French food, music, culture and of course champagne. 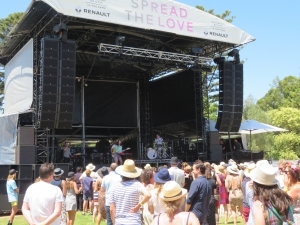 Now an annual extravaganza in three Australian States, the festival first came about in 2012 off the back of the success of a French compilation CD. 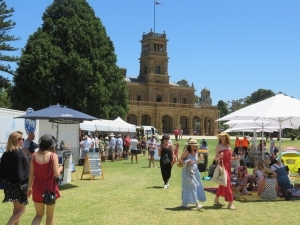 Werribee Park is a premier venue for major events in Melbourne. 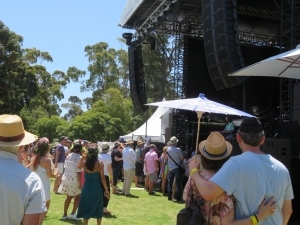 It’s one of the best in Melbourne’s West thanks to the grand formal gardens, a historical farm and well kept homestead area. 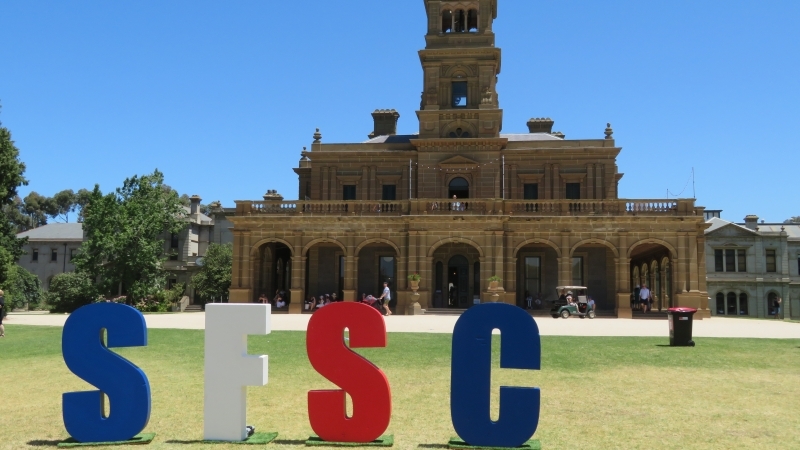 Centred around the opulent Mansion it’s a delightful setting for this French inspired garden party. 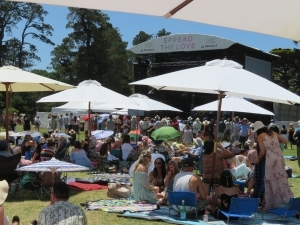 Festival goers can pick from the cream of the crop. Cocktails, calamari, eclairs, ice-cream, pastries, fromage, croque-monsieur, raclette, macarons (the list goes on). Such a joy for the bon vivant! Guests also dress to impress. Those instagram accounts are guaranteed to get a good work out. Vogue Australia even does an annual account of the coolest street style looks for each event. Attendees can bring their own lunch and a picnic rug. Families are accommodated with a program of fun activities for the kids. As an extra bonus, entry for those under the age of 12 is free. The music is tres bien. Songs are sung in both English and French, with classic themes mostly of home, pain and love. The artists engage their audience with some humour, and often a dance lesson or two. With an ever impressive list of artists, 2019 saw a fierce all female line up. 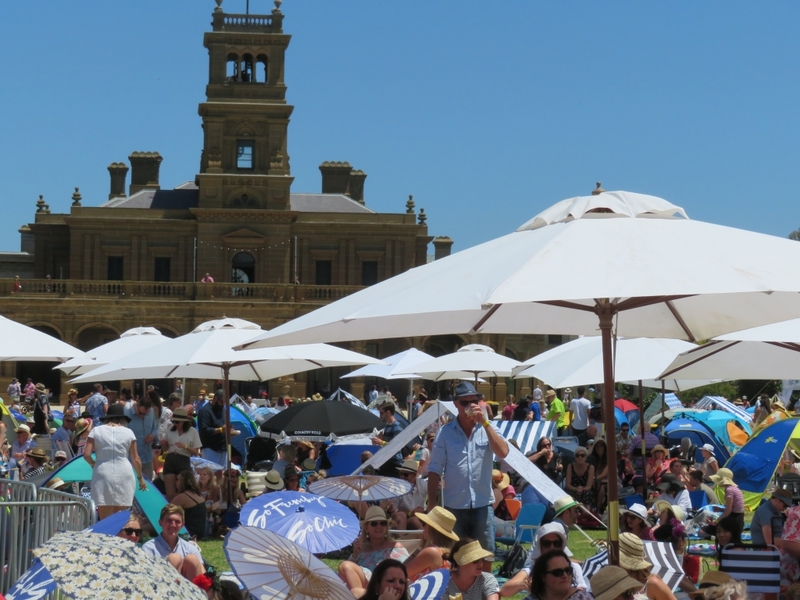 And oh the crowds cheer, whether reclining in the sunshine or up on their feet. It certainly is an experience, very Frenchy, and SO chic! View more images via our Love The West Instagram stories here.